Great performances, cinematography, set design, costume design, and music do not unfortunately make for a great movie. A good first act, which gave me great hope for the rest of the film, is eventually squandered under the weight of a ponderous and inconsequential second and third act. 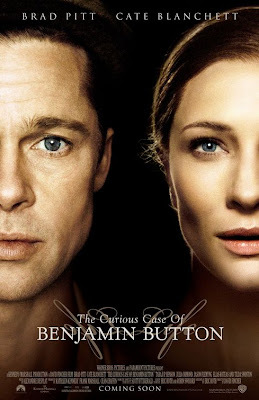 Benjamin Button does have something to say, but not as much as its two and a half hour would suggest. At least similar films had something to go along with its gimmick: Forrest Gump had optimism, Big Fish had whimsy, and Benjamin Button has…well…ramblings. For me, the film was a big disappointment and eventually became pretty hard to watch as my interest waned. The tagline for the film is, “Life isn’t measured in minutes, its measured in moments”. Unfortunately for us, they should have measured the minutes more and gave us a few less moments.